Allan Baxter (Hedger Wallace), a British diplomatic courier, arrives at his hotel in Jamaica en route to Santiago from Washington and rings the Governor's secretary to tell him he thinks he's being followed. 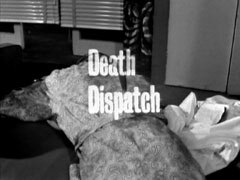 Pasco (Alan Mason) sneaks into his room while he's in the shower and searches for the diplomatic bag, and pockets Baxter's pistol. He drops a coat hanger while searching and Baxter pretends he hasn't noticed anything, and keeps singing in the shower. Pasco hides when he comes out, but kills him with a throwing knife when he calls the operator to fetch the police. The next morning, Steed is enjoying a Cuba Libre at the poolside when One-Ten (Douglas Muir) shows up. 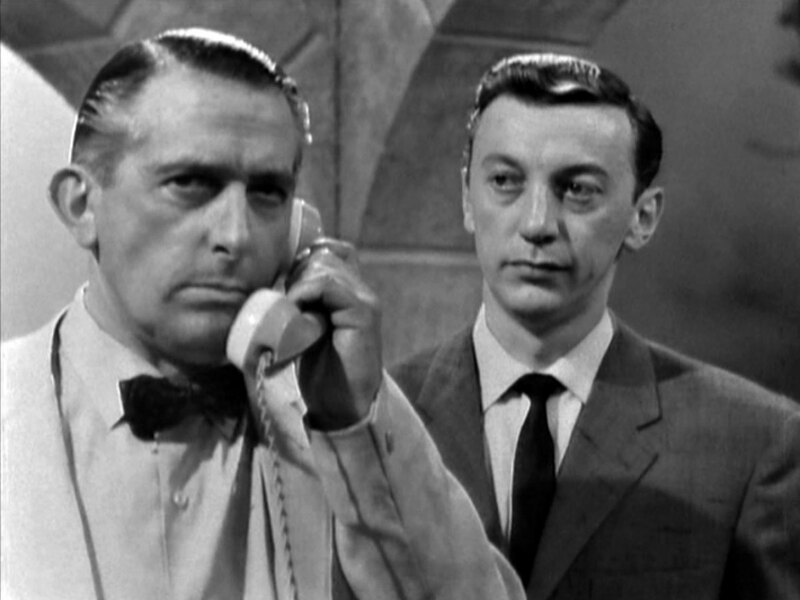 He shows Steed a photo of Baxter's body and says the police think he surprised a sneak thief, but he doesn't agree. The puzzling thing is the dispatches he was carrying, while confidential, were all routine and of no value. One Ten orders him to take over the courier rôle as they need to discover what in the dispatches is worth killing for; he adds that Cathy will be joining him that night as his cover. Steed grins and invites a blonde to join him for breakfast. Cathy arrives that night and notices a message in lipstick on the mirror - "Don't bother to unpack your bags just yet we're not staying" - and orders Steed to come out. He enters the room with a bottle of champagne and tells her they leave for Santiago in the morning, Cathy grimaces and complains about not getting enough time to work up a decent tan. She queries the lipstick and he grins, then hides the dispatch case - under Cathy's pillow. He tells her she's flying under her own name, and will be his backup, so she takes a pistol from a hidden compartment of her suitcase. Meanwhile, Miguel Rosas (Richard Warner) is telling Monroe (David Cargill) his plans for revolution and the need to stamp out the weakness of democracy from his country. He demands to know when he'll get the dispatches and Monroe says the new courier left Jamaica that afternoon. Pasco calls Rosas, who sends his daughter Anna (Valerie Sarruf) off to the stables so she won't overhear. Rosas is furious to learn he has failed again, and instructs Monroe to take over in Lima - they need to get the dispatches before the case enters Chilean territory, and there must be nothing to link the theft with their cause. 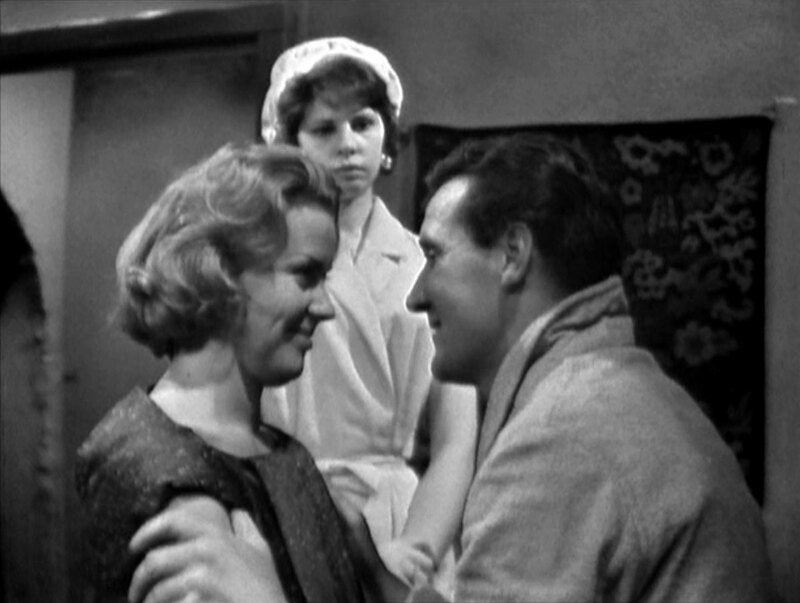 Steed joins Cathy in her room, making sure as many people as possible see he has entered, wearing a dressing gown - under the gown are standard clothes and when the chambermaid (Bernice Rassin) has left after delivering some drinks, he tells her he only has the dispatches for Santiago left in the case and intends to let them have it so he can find out what it is they're after. He sets the mirror in the hall to reflect his door from Cathy's. Some time later, Steed spies Pasco enter the room but when he hasn't reemerged in ten minutes, they go to investigate. Inside, Pasco is dead and the case intact - with a flashbulb next to it. They realise someone could have scaled down from the room above and Steed orders Cathy to order two more drinks from her room while he searches Pasco's body. Monroe calls Rosas and tells him he has 'completed his business' and more - Pasco won't be returning to Santiago. He writes down a destination - Dos Paharos - then hears Cathy outside the door and catches her, but despite initial doubts believes her chambermaid disguise when she cheerily says, "Si, señor!" after he threatens to hurt her. She leaves, then sneaks back to take a sheet of paper from his notepad. She reports to Steed, describing Monroe and saying he's definitely their man but he's working for someone else. Steed wants her to be on Monroe's flight while he continues on to the consulate as if nothing happened, putting a "do not disturb" sign on the door. Monroe goes to a bar in Santiago and asks Rico (Michael Forrest) if he can develop the film. Conchita (Maria Andipa), a singer at the bar, tries to get a drink from Monroe but is brushed aside. 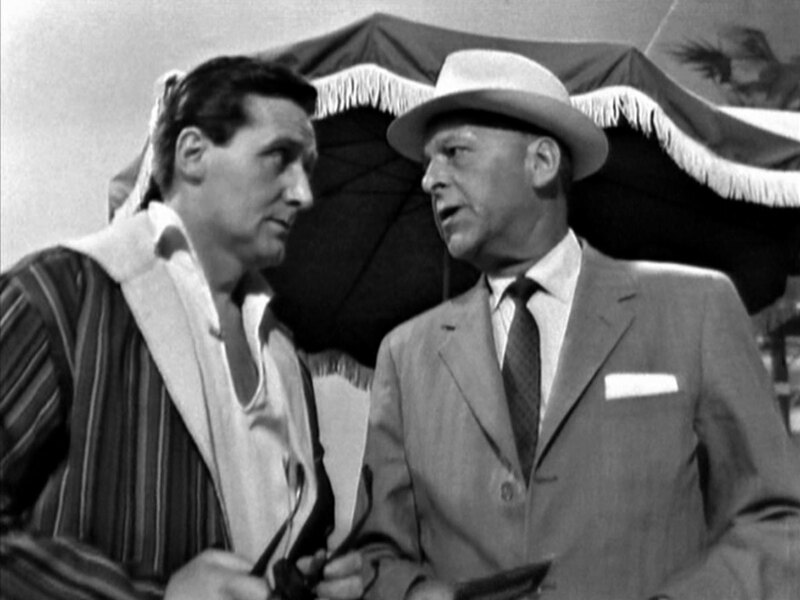 Steed meanwhile is being admonished by the Consul's secretary, Travers (Gerald Harper), who tells him the police of Lima and Santiago want to talk to him. Travers is preparing a reception for an envoy from Washington but leaps up when Steed says he'll just have a wander around town. Cathy calls to say she's just seen Monroe enter a café called Dos Paharos, and she's bought a girl called Juanita for him - a doll. Travers forbids Steed to leave, so he starts tearing up the invitations to the upcoming reception until Travers relents and allows him to leave. 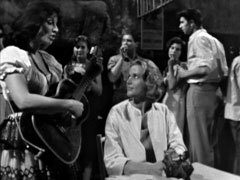 Conchita is singing in the café while Monroe develops the prints in the kitchen, but stops dead when Cathy enters. Rico welcomes her and gets her a glass of red wine while she listens to Conchita Monroe recognises Cathy and sits at her table; he sends the singer away and grabs Cathy handbag, which she'd just picked up. He removes her pistol and the clientele of the café hurriedly move away as he asks if she was going to use it on him. Cathy tells him she was planning to pay the singer and Monroe removes some money from her purse and thrusts it down Conchita's blouse. She swears at him and throws the money on the ground - which is quickly scooped up by a customer (Jerry Jardin), who buys a drink with it. Monroe stands and says, "Shall we go? ", adding he doesn't want to lose her now, and leads Cathy out the back of the café. At the hacienda, Anna comes in just as Rosas is finishing a 'phone call in which he says the operation can begin as soon as they receive the developed film. She tells him she wishes he wouldn't get involved in politics as it must be dangerous. He laughs and changes the subject to Anna's mare, which is about to foal; the 'phone rings again and after listening for a moment he suggests she get Pepe to take her back to the stables. Once she goes, he tells his caller to "bring her up here, I'll question her myself". Steed arrives at the café and buys a glass of wine, then grimaces when he tastes it, saying it's been watered down with vinegar. Rico apologises, saying he didn't realise he was English, and pours a new glass. He adds they don't like strangers and don't get many English, then backtracks when Steed says, "Which makes two in one day quite an event". Rico denies all knowledge so Steed turns to the customers and offers money for information about a "señorita inglese"; Conchita is held back by a customer and Rico says the señora wasn't there. Steed questions his use of the title and Conchita produces the doll Cathy had bought for Steed, then runs away. 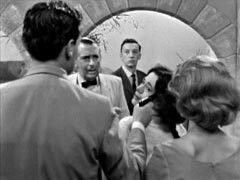 Steed attacks Rico, saying he's wanted by the police and they're right behind him and Rico confesses she's been taken to Miguel Rosas' hacienda. 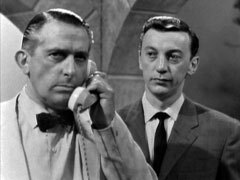 Steed leaves immediately and Rico calls Rosas to warn him. Rosas meanwhile tells Cathy he suspects she's been sent to find out who is after her government's dispatches then adds her government has nothing to worry about. Monroe takes a call from the gate and is told a newspaper reporter matching the description given by Rico has arrived; Rosas tells him to fetch Steed, but not to use too much force. Rosas turns to Cathy, who is ready what they'd copied from the dispatches - the itinerary of the envoy from Washington. She's puzzled as to why they didn't get it from the Chilean foreign office. Rosas tells her they didn't want to draw attention to themselves domestically, and getting the information from British sources meant the United States wouldn't be tipped off either. Steed is led in at gunpoint by Monroe, who identifies him as the British courier. Rosas is concerned at this development and Steed attempts to disarm Monroe, but Rosas picks up the fallen pistol first. Monroe searches Steed and takes his revolver, Rosas asks them to 'accompany' Monroe but they stall, Steed saying they now know who, Cathy chiming in with the what, but they don't yet know why. Anna bursts in, excited that her mare has foaled and is scared when she see's the revolver in Monroe's hand. Rosas tells her that Monroe and he captured these intruders. Cathy says she'll happily explain everything to the police, if they're called. Anna is puzzled, saying they don't look like criminals and when Steed replies, "No more than your father does. ", Rosas pulls out the pistol. Anna gets between Rosas and Steed and Steed pounces, securing the pistol, Cathy grabs Anna, holding her in front of them, and Steed hold the pistol to Anna's forehead. Rosas concedes and orders Monroe to drop his gun. Steed and Cathy return to the embassy, where a flustered Travers is trying to unravel the mess of the invitations. He congratulates Steed on evading the police, but says Sir Henry wishes to see him. 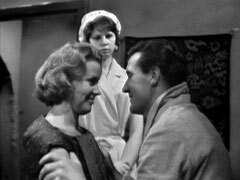 Steed tells him he has it all wrong, the police delivered them and, having just seen Sir Henry, it's Travers who he wishes to see. Steed tells Cathy he'd told Sir Henry that Rosas planned to assassinate the visiting envoy so as to discredit the present government; the Chilean police are arresting people all over the city. Travers returns and says Sir Henry wishes them to attend the reception, and is given Juanita as a consolation.